Click "LOGIN / SIGNUP" on the top menu and log in with your email address and password. Once you have successfully logged in, you will be redirected to the "DIY Reship Service - Incoming" page. Click "ASSISTED PURCHASE" on the top menu, you will be redirected to the "Assisted Purchase Service - My Cart" page. Click the "Add Product" button and the following modal will appear. 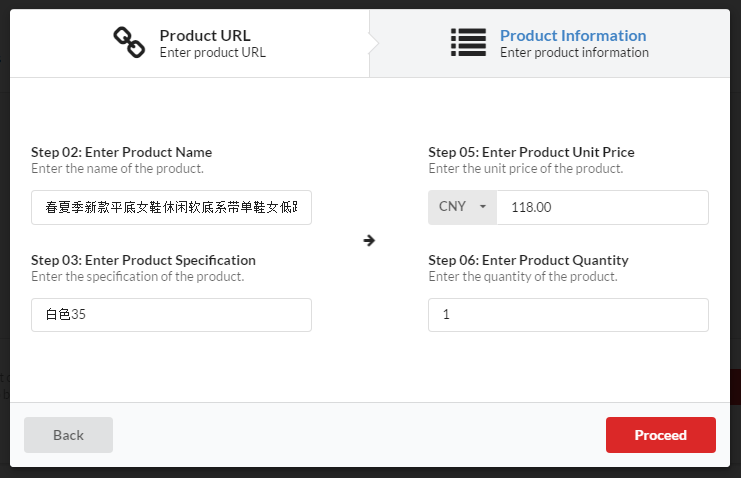 Fill in the "Product URL" in Step 01 and click the "Proceed" button. Fill in the "Product Name" in Step 02 and "Product Specification" in Step 03. Select the "Currency" and fill in the "Unit Price" in Step 05. Fill in the "Quantity" in Step 06 and click the "Proceed" button. 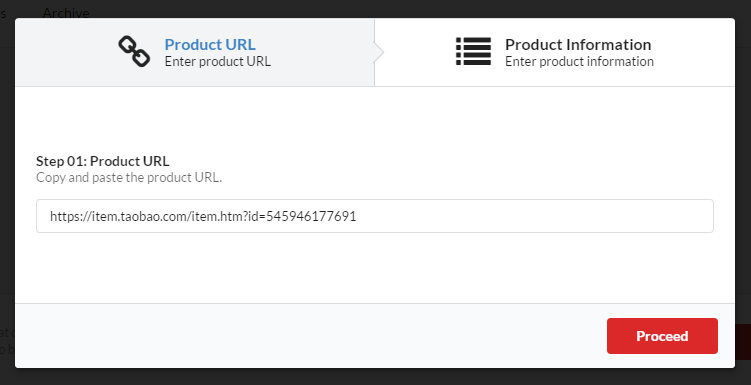 The product you just added will appear in the "Assisted Purchase Service - My Cart" page. Using the checkbox which appears on the left to select the product you wish to checkout. Please read and make sure you understand our "Terms & Conditions" before clicking the "Checkout" button. Click "My Orders" button and you will be redirected to the "Assisted Purchase Service - My Orders" page. Click the "Order Number" to expand the accordion and click the "Make Payment" button. 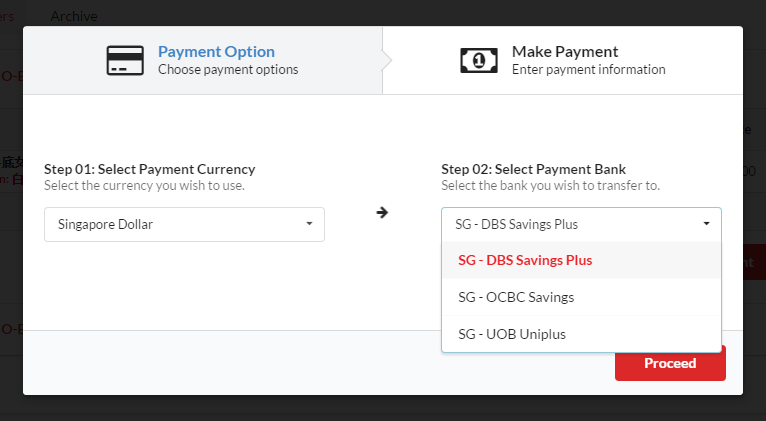 Select the "Payment Currency" in Step 01 and "Payment Bank" in Step 02 and click the "Proceed" button. 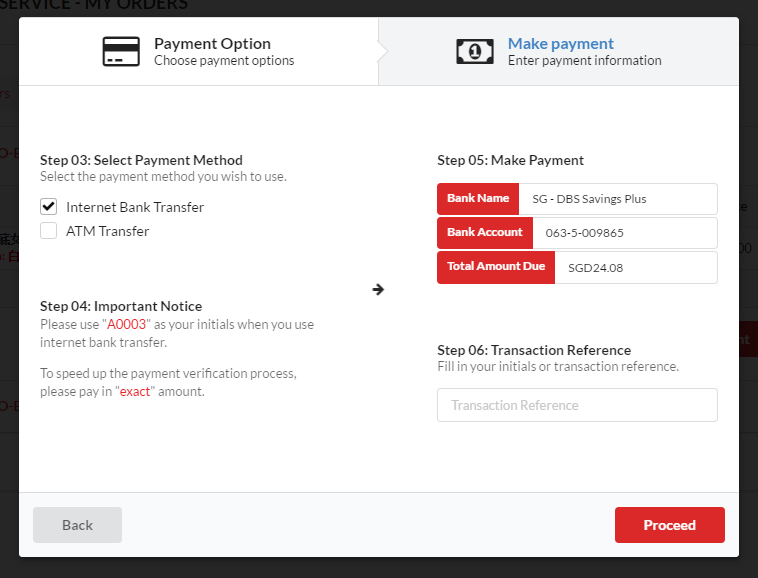 Select the "Payment Method" in Step 03 and transfer the exact amount to the bank account indicated in Step 05. Fill in the "Transaction Reference" in Step 06 if you have selected "Internet Bank Transfer" as your "Payment Method" in Step 03. You can bypass Step 06 if you have selected "ATM Transfer" as your "Payment Method" in Step 03. Click the "Proceed" button only after you made the payment. Once our accountant verified your payment, our purchasing team will place your order as soon as possible.